On this day, the 220th anniversary of George Washington’s first presidential inauguration, The Magpie Mason crossposts with American Creation, one of the premier forums for discussion of the historical facts concerning the religious beliefs and practices of America’s Founding Fathers. Freemasonry has an often misunderstood relationship with the Founders and with religion in general, resulting in common confusions like the perception that most of the Founders were Freemasons, and that Masons of the 18th century were Deists or even anti-Christian. The truth is Freemasonry’s requirement that its members believe in deity, and its – pardon the expression – “don’t ask, don’t tell” rule concerning the members’ specific religious opinions, create a fraternal order wherein any man who believes in a Supreme Being may enjoy friendships with others. In 2009 it sounds simple, but when this idea was put into practice in the cosmopolitan London of the 1720s, it was revolutionary. In the wake of the English Civil War, Restoration and Glorious Revolution, and during the era of English-Scottish Union, Jacobite rebellion and wild change in royal families, Freemasonry unveiled itself to the public, publishing its Constitutions in 1723 which state the fraternity’s preference for religious (and political) ambiguity. The result was the invention of interfaith ecumenism, a triumph that helped create the modern world; as the British Empire spread across the globe, it brought Freemasonry with it, creating a previously impossible socialization for Jews, Christians, Muslims, Hindus, Parsees and others to mingle as equals. No mention of a Bible on which to place one’s hand. No “So help me God” phrase. Above: Genesis Chapters 49 and 50, where Washington placed his right hand during his presidential oath of office. Below: The original portrait of King George II, left, and the portrait of Washington added subsequently. Photos by The Magpie Mason, 2003. With the involvement in this historic event of the most senior Masonic authorities of New York, it is time to explain what I believe is the most likely reason for the first president's ad libbed addendum to the Constitutional oath of office and the inclusion of the Bible. By 1789, George Washington had been a Freemason for 37 years. He was initiated into the fraternity on Nov. 4, 1752; passed to the second degree on March 3, 1753; and raised to the degree of Master Mason on Aug. 4, 1753 at Fredericksburg Lodge in Fredericksburg, Virginia. In each of these three ceremonies, Washington would have taken an oath and an obligation; more than finalize the process of becoming a Mason, this act is what Masons specifically credit for “making” the Mason. It is important to understand that while the oath and the obligation of each degree are presented ritually together, the two declarations distinctly serve two purposes. There is no enigmatic Masonic mystery here. Just grab a dictionary. Oath – 1. a solemn usually formal calling upon God or a god to witness to the truth of what one says or to witness that one sincerely intends to do what one says 2.a: solemn attestation of the truth or inviolability of one’s words. b: something (as a promise) corroborated by an oath; an irreverent or careless use of a sacred name; broadly: SWEARWORD. Obligation – 1. Any act by which a person becomes bound to do something to or for another, or to forbear something; external duties imposed by law, promise, or contract, by the relations of society, or by courtesy, kindness, etc. 2. The act of obligating. 3. A bond with a condition annexed, and a penalty for not fulfilling. In a larger sense, it is an acknowledgment of a duty to pay a certain sum or do a certain things. 4. That which obligates or constrains; the binding power of a promise, contract, oath, or vow, or of law; that which constitutes legal or moral duty. 5. The state of being obligated or bound; the state of being indebted for an act of favor or kindness; as, to place others under obligations to one. From the day he entered adulthood and its societies at age 17, George Washington no doubt had taken many oaths before April 30, 1789. Washington the public official: surveyor of Culpepper County in 1749, and adjutant of Virginia three years later. The Freemason: a Master Mason (or full member) in a prestigious lodge of local elites at a time when only one in six lodge members attained the rank of Master Mason. The officer in the Virginia militia: a major in 1752, a lieutenant colonel in 1754, and a brigadier general in 1758. The elected government official: a legislator in Virginia’s House of Burgesses in 1758. A married gentleman in 1759. And of course commander-in-chief of the Continental Army in 1775, and president of the Constitutional Convention in 1787. How were all of these oaths phrased? I will have to leave most of that to the aforementioned credentialed academics, but I can provide some insight into the language of the Masonic oaths and obligations. It would surprise no regular Freemason in the United States (or Great Britain) that George Washington concluded his oath of office by kissing the holy text and beseeching “I swear, so help me God!” A similar act of testimony is performed by every Freemason. A “moment of truth,” if you will. Left: RW Peter Hamilton Currie, editor of AQC. Right: King James oath as it appears in Vol. 120. There is a lot of anxiety in certain circles caused by “So help me God.” Marxists, atheists, lonely busybodies, and revisionists of all stripes labor to diminish or erase the historical record of Washington’s rhetorical flourish, insisting there is no journalistic evidence he said it. I have no use for that argument, or for those who cling to it. Professional (sic) journalists and historians in 1789 were unscientific and brazenly biased, as judged against our modern expectations. (They didn’t have the objectivity and accuracy of blogs back then!) Furthermore, Washington the president was exploring new ground, truly going where no man had gone before. The Constitution didn’t prohibit the use of a Bible in the oath nor proscribed invoking deity. A good public servant – and a good Freemason – knows what his constitution says and what it does not say, and governs himself accordingly. With this understanding of the history of “So help me God,” maybe we can agree that George Washington indeed did speak the phrase following his presidential oath of office, as reported, and perhaps also safely surmise that he added this language, not as an improvised coda, but as an established tradition in government oaths per longstanding custom. It is fact that the birth of the American republic was unprecedented in history, but it cannot be denied that the men who gave it law and politics were creatures of English habit, schooled in the mother country’s history, common law, politics, religions and traditions. In view of the current 220th year anniversary for George Washington's First Inauguration and as a follow-up to the Comments made to my earlier post, David Barton and His Seven Signs, here are a pair of e-mails, arranged in chronological order, between myself and Dr. Fred Beuttler, Deputy Historian of the House, and myself (Ray Soller). When George Washington was inaugurated as the first President of the United States on 30 April 1789 in New York City, he added the phrase, “So help me God” at the end of the oath of office. It has been in place ever since. The story that Washington added a religious codicil to his oath of office is not supported by any known contemporary or subsequent firsthand account. I don't know exactly what is meant by "It has been in place ever since," but if we skip over the Sept. 22, 1881 swearing-in ceremony for Chester A. Arthur [after the death of President Garfield], then we can safely say that no elected president is known to have departed from the constitutional oath until the early part of the twentieth century. Herbert Hoover was the last president whose oath was administered as prescribed by Article II, Section 1 of the U.S. Constitution. It has only been since FDR that all presidents have been prompted to conclude their oath with "So help me God." My question is: Does the Office of the Historian have any documented facts to support the notion that George Washington added "So help me God" to the presidential oath? Is it possible that your office missed out on Dr. Donald Kennon's January 14th briefing, Historical Perspectives on the Inaugural Swearing In Ceremony, at the U. S. Department of State Foreign Press Center? Thank you for your response to our web post. You are technically correct, and that phrase we used in that answer was overly definitive. It was an oversimplification of a historically complex incident. While it is possible, and indeed probable, that Washington used the phrase, “so help me God,” the record is silent as to whether or not he actually did say it. Thank you as well for pointing out my friend and colleague Don Kennon’s remarks, although I think he went too far in implying that the absence of a direct source affirms the contrary position. While no direct reference to Washington’s use of the phrase “so help me God” has been found, it is quite possible for him to have added that at the end of the presidential oath. He had no scruples against seeking divine guidance for his administration, as indeed he does in his inaugural address. His “fervent supplications to that Almighty Being …” and his “homage to the Great Author of every public and private good” suggest that he would affirm the sentiment of “so help me God.” Further, the phrase was required of most oaths at the time, a commonplace in English and most American state oaths. Did Washington end his oath of office with the phrase “so help me God”? As far as recent historians have been able to discover, the record is silent as to whether he said it or did not say it. The direct evidence for or against is equal on both sides. Given the historical and congressional context, however, along with Washington’s seeming use of the monarchial precedents and his willingness to invoke divine aid at most opportunities, it seems plausible that Washington did say “so help me God,” after the oath of office and before kissing the Bible. Indeed, it seems more plausible to think that no one thought to record such a commonplace as worthy of note, than that Washington purposefully omitted the phrase, and that no one mentioned that omission. Otherwise, why would he kiss the Bible? So, clearly, it is possible, that Washington said “so help me God,” and with the circumstantial evidence, it is probably likely, although not certain, that he said it. But you are correct, in saying that the tradition of saying “so help me God,” in presidential oaths (unlike in congressionally mandated oaths), did not begin with Washington, but developed later, unlike the tradition of taking the oath on a Bible, which did originate with our first president. When George Washington was inaugurated as the first President of the United States on 30 April 1789 in New York City, he probably [my italics] added the phrase, “So help me God” at the end of the oath of office. It has been added by most presidents in the past century. As for Dr. Beuttler's response to me regarding the notion that Washington brought a Bible to his oath ceremony, that is not substantiated by anything in the historical record, and it is this fact that needs to be addressed before anyone can properly understand why Washington placed his hand on the Bible and after the oath was completed bowed down to kiss the Bible. What Washington was most likely doing was following the custom of English monarchs, who in the eighteenth century, and even now, take their oath of office (including the phrase “so help me God”), and then bow down and kiss the Bible. Another possible model, much closer to Washington's personal experiences, is that of the oaths taken during Masonic initiatory rituals. Though rarely considered, this could be a possibility. Just wanted to briefly mention a recent posting done by historian John Fea over at his personal blog. Dr. Fea briefly mentions a recent class he held on Washington's religion along with some of his own comments. Obviously this has been a major topic here at American Creation. Of all the founders discussed, Washington seems to come up much more than the others. Personally, I see the religious creed of George Washington as a bit of an enigma, since he rarely if ever mentioned it in his personal writings. However, I am in agreement with Dr. Fea that when judging Washington's personal faith we must do so by the traditional 18th century standards of his time. As a result, Washington comes off looking like a nominal Anglican/Episcopalian at best. With such neutral language combined with his limited church attendance and his lack of regular communion, I find it difficult to defend Washington's orthodoxy. My guess is that Dr. Fea would agree. Anyway, I encourage you all to read Dr. Fea's post on this subject! One of our commenters---and one I could live without ever hearing from again---once mentioned among her criticisms of meself that I regularly use italics for a word in a sentence, as if this makes me some sort of language snob, or a soapboxer. Actually, it's an attempt to make myself understood, imagining how a sentence might be understood by the casual reader. The written word, and the internet itself, creates so many misimpressions, especially when people don't read your whole thought, don't care to understand your thought, but are only interested in finding some petard to hoist you upon. Hehe. There are only 7 words in that sentence, and you need to stress one of them. Word up---italics are good. The very first inauguration – conducted under the watchful eye of those who had framed our government and written its Constitution – incorporated numerous religious activities and expressions. That first inauguration set the constitutional precedent for all other inaugurations; and the activities from that original inauguration that have been repeated in whole or part in every subsequent inauguration include: (1) the use of the Bible to administer the oath; (2) the religious nature of the oath and including “So help me God”; (3) inaugural prayers by the president; (4) religious content in the inaugural addresses; (5) the president calling the people to pray or acknowledge God; (6) inaugural worship services; and (7) clergy-led inaugural prayers. Here Barton boldly proclaims his seven signs "set the constitutional precedent for all other inaugurations [my italics]." Even so, Barton allows for some wiggle room, because he carefully says that these activities "have been repeated in whole or part." If you're not one of those skeptical critics like myself, then this statement might pass muster. But if you're a skeptic, then David Barton needs to own up to the fact that when we examine the historical record for George Washington's second inauguration there's not a single piece of historical evidence for any of Barton's "Seven Signs" in either "whole or part." In David Barton's world, who needs hard evidence? After all didn't Jesus say, "Blessed are those who have not seen and yet believe"? The preparations for the inauguration had been extensive; everything had been well planned; the event seemed to be proceeding smoothly. The parade carrying Washington by horse-drawn carriage to the swearing-in was nearing Federal Hall when it was realized that no Bible had been obtained for administering the oath. Parade Marshal Jacob Morton hurried to the nearby Masonic Lodge and grabbed its large 1767 King James Bible. The Bible was laid upon a crimson velvet cushion (held by Samuel Otis, Secretary of the Senate) and, with a huge crowd gathered below watching the ceremony on the balcony, New York Chancellor Robert Livingston was to administer the oath of office. (Robert Livingston had been one of the five Founders who had drafted the Declaration of Independence; however, he was called back to New York to help his State through the Revolution before he could affix his signature to the very document he had helped write. As Chancellor, Livingston was the highest ranking judicial official in New York.) Beside Livingston and Washington stood several distinguished officials, including Vice President John Adams, original Supreme Court Chief Justice John Jay, Generals Henry Knox and Philip Schuyler, and a number of others. The Bible was opened at random to the latter part of Genesis; Washington placed his left hand upon the open Bible, raised his right, and then took the oath of office prescribed by the Constitution. Washington then bent over and kissed the Bible, reverently closed his eyes, and said, “So help me God!” Chancellor Livingston then proclaimed, “It is done!” Turning to the crowd assembled below, he shouted, “Long live George Washington – the first President of the United States!” That shout was echoed and re-echoed by the crowd below. It's a good story, as stories go. However, there are a few other details that are worth mentioning: 1) for all of the elaborate coordinated planning between the members of the joint congressional committee and George Washington there's no record of a Bible having been planned as a requirement for the administration of the oath (even afterwards, the congressional record doesn't even report that a Bible was used); 2) the Masonic owned 1767 King James Bible, with its picture of King George II just inside the front cover, was surprisingly inconsistent with all the other featured items of American manufacture; 3) the most authentically valued depictions of the inaugural scene has Washington placing his right hand on the Bible (even the picture displayed by Barton's article has Washington with his right hand on the Bible - likewise, the lithograph by the esteemed artist Alonzo Chappel (1828 -1887), the bronze statue on the steps of New York City Federal Hall, and the Mount Vernon life-size inaugural exhibit all show Washington's right hand on the Bible); 4) the image of Washington having "reverently closed his eyes" is pure literary fantasy first invented sixty-five years after the event by Rufus Wilmot Griswold when he published his book, The Republican Court: Or, American Society in the Days of Washington; and, 5) similarly, the debut for the religious codicil, "So help me God," comes from the same literary source. All in all, the claim that George Washington added a religious tagline to his oath is the most problematic. No matter, Barton is unconcerned about the facts as reported by late-arrival "critics." He even disregards a reputable historian like Peter R. Henriques who disputes Griswold's tardy inaugural narrative of 1854 with his article, “So Help Me God”: A George Washington Myth that Should Be Discarded. Furthermore, according to Barton's scheme of things, one can still have a "constitutional precedent" even if no elected president can conscientiously be recognized as having followed this "constitutional precedent" until the beginning of the twentieth century. Critics today [who rely on firsthand historical accounts (my inclusion)] claim that George Washington never added “So help me God!” to his oath. [dot - dot - dot] But overlooked by many today is the fact that the Framers of our government considered an oath to be inherently religious – something George Washington affirmed when he appended the phrase “So help me God” to the end of the oath. In other words, since a sizable number of the Framers considered an oath in its "customary" context as religious, Washington, according to Barton's understanding, inevitably added "So help me God" to his presidential oath. Never mind the fact that the Articles of Confederation didn't even require an oath from members of the Continental Congress; that the certificates for the Oath of Allegiance that were sent out to the officers in the Continental Army did not mention God; that "So help me God" was not added to Washington's certificate when he signed his Oath of Allegiance; that even before the revolutionary war had ended the subject of loyalty oaths had left a bitter aftertaste in the minds of a sizable number of Americans who had been forced to proclaim their respective loyalty; that for eleven of the thirteen states, state mandated religious test oaths had been implemented to prevent designated minorities from equal access to basic civil rights; that delegates attending the Constitutional Convention formed a consensus that oaths had become unfashionable; that any religious test was proscribed by the Constitution; that George Washington signed his name at the head of the list of signatories who subscribed to the principles spelled out in the Constitution; that no one ever reported that they heard Washington add "So help me God" to his presidential oath; that Washington signed into law a godless oath for all federal employees; and, as already indicated, that Washington's second inauguration apparently dispensed with any recognizable religious observance. 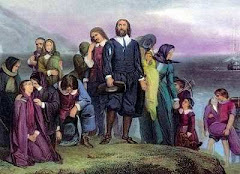 So, in spite of these many considerations Barton chooses to overlook, he clamors on with his contention that an oath for a federal employee is fundamentally a religious act, which, in accordance with some well-chosen words from his special list of Founding Framers, should, without question, be concluded with "So help me God." Here Barton produces four illustrious candidates to buttress his contention. They are John Witherspoon (1723 – 1794), Rufus King (1755 – 1827), James Iredell (1751 – 1799), and Daniel Webster (1782 – 1852). There's no reason to count Daniel Webster as a Founding Framer, but the other three candidates established themselves as outspoken supporters for ratification of the Constitution, and none of them is known to have rejected its apparent non-religious character. In fact, Rufus King actually attended the 1787 Constitutional Convention, and, as a member of the Committee of Style and Arrangement, he helped draft the final version. 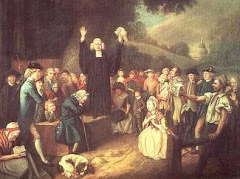 What Barton does not want to recognize is that federal oaths administered outside of the courtroom were not saturated with Jon Witherspoon's definition which stated that "An oath is an appeal to God, the Searcher of Hearts, for the truth of what we say and always expresses or supposes an imprecation [a calling down] of His judgment upon us if we prevaricate [lie]." [W]here is the security for property, for reputation, for life, if the sense of religious obligation desert the oaths . . . ?" The deception is clear. The "dot - dot - dot" part Barton removed, clarifies what Washington wanted to ask regarding, "the security for property, for reputation, for life, if the sense of religious obligation desert the oaths," "which are the instruments of investigation in courts of justice?" It is true that the next line in Washington's Farewell Address goes on to say, "And let us with caution indulge the supposition that morality can be maintained without religion." But for those, like Barton with "His Seven Signs," who want to arbitrarily empower the government with the authority to regulate our national morality, Washington, I believe, would have had this to say, "But let there be no change by usurpation; for though this in one instance may be the instrument of good, it is the customary weapon by which free governments are destroyed. The precedent must always greatly overbalance in permanent evil any partial or transient benefit which the use can at any time yield." The 2009 Pulitzer Prize winners were announced on Monday, and though nothing on religion and the founding won, I still think it's worth mentioning here on this blog. This epic work tells the story of the Hemingses, whose close blood ties to our third president had been systematically expunged from American history until very recently. Now, historian and legal scholar Annette Gordon-Reed traces the Hemings family from its origins in Virginia in the 1700s to the family's dispersal after Jefferson's death in 1826. It brings to life not only Sally Hemings and Thomas Jefferson but also their children and Hemings's siblings, who shared a father with Jefferson's wife, Martha. The Hemingses of Monticello sets the family's compelling saga against the backdrop of Revolutionary America, Paris on the eve of its own revolution, 1790s Philadelphia, and plantation life at Monticello. Much anticipated, this book promises to be the most important history of an American slave family ever written. It includes David Barton's "unconfirmed" quotations to boot. With all due respect to fellow blogger Tom Van Dyke, I believe I have found a more appropriate "national anthem" for the "Christian Nation." It comes from Pastor Scott Wesley Brown (website for the song can be found by clicking here), which has the same sort or ring as Francis Scott Key!!! Thanks to fellow blogger Brad Hart who has brought up a lot of the issues mentioned in the song. I too special note of the "changing of history" comment made in the song. Quite true, quite true! How far our country has strayed from its founding ideals! George Washington, after capturing a thousand Hessians at Trenton, commanded his subordinates to “Treat them with humanity, and let them have no reason to Complain of our Copying the brutal example of the British Army,” who were notorious for maltreating POWs aboard their prison ships. Sentiments like these were codified in Lincoln’s administration under the “General Orders No. 100” which affirmed that “Military necessity does not admit of cruelty—that is, the infliction of suffering for the sake of suffering or for revenge, nor of maiming or wounding except in fight, nor of torture to extort confessions.” Lincoln’s humane policy became a model for other European nations and eventually for the Geneva Conventions. Gitmo inmate Adnan Farhan Abdul Latif, in a letter to his attorney, asks, “America, what has happened to you?” It’s a question a question every citizen should be asking.